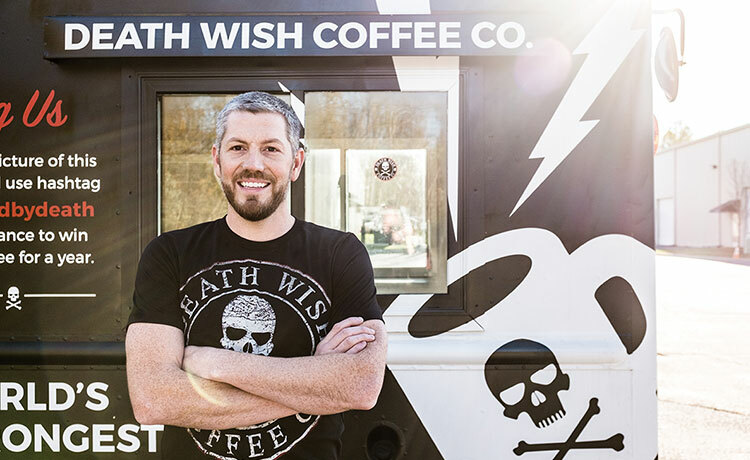 If there’s anything Michael Brown savors as much as a cup of Death Wish Coffee, it must be the success his company has achieved in just six short years. 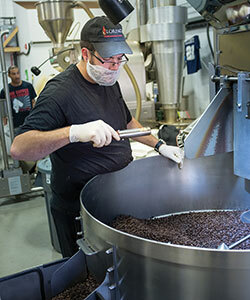 Brown started Death Wish in 2011 as a “side project” to his first venture, Saratoga Coffee Traders. 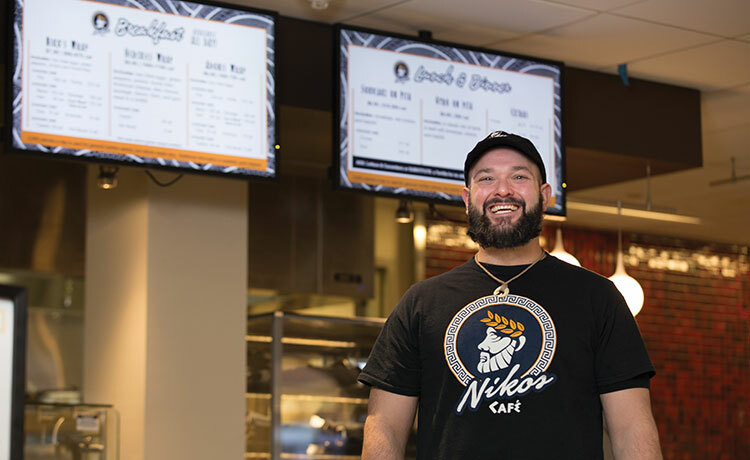 The Waterford, N.Y., native was “living behind my mom’s garage” when he came up with the blend, which combined beans grown in India with some other varieties he had on hand. Brown dubbed his new product “Death Wish Coffee” and chose packaging that featured a skull-and-crossbones image he thought would pique consumer interest. Each bag noted that the contents were USDA-certified 100-percent organic and Free Trade. “I didn’t have a business plan at the time,” acknowledges Brown, who majored in economics and minored in business administration at UAlbany. The two pulled together a mailing list and put out the word about Death Wish on social media. Brown caught a lucky break in 2013, when ABC’s “Good Morning America” called to request an interview. Impressed, the “GMA” team followed up the next day with another on-air visit to the shop, and “sales skyrocketed,” Brown remembers. Approximately 90 percent of Death Wish sales are made online. 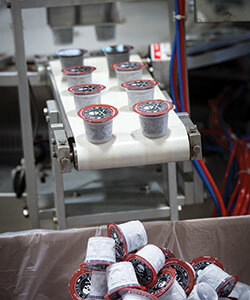 A fulfillment center near Philadelphia ships the orders; Brown is looking to start a second in Reno, Nev., to reduce the costs of shipping to the western U.S. Death Wish Coffee is also distributed through Amazon.com platforms and, in Hawaii and on the West Coast, through Safeway grocery stores. In the Albany area, Price Chopper carries the brand, as do eight ShopRite stores in New York. “We’re still working to get into Target,” says Brown. Death Wish, the self-proclaimed “world’s strongest coffee,” packs 427 milligrams of caffeine into each 8-ounce cup. A 16,000-square-foot building in Round Lake, N.Y., houses grinding, packaging, and warehouse operations. Customer-service, marketing, and logistics teams are also headquartered there. 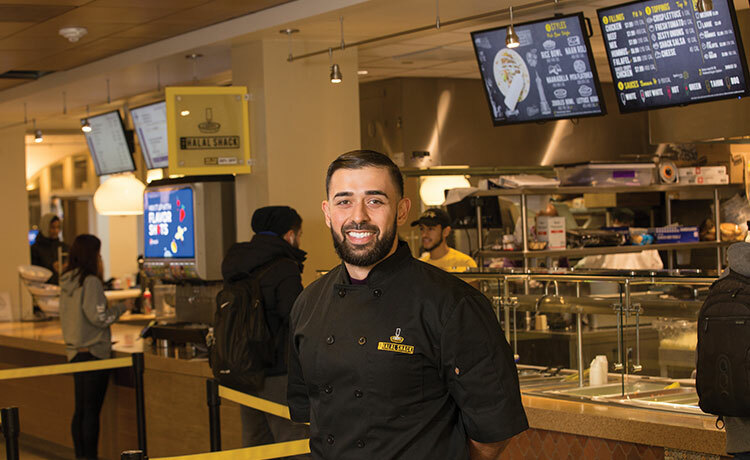 The lessons Brown learned at UAlbany prepared him well for the business world. Project Renaissance, then a living-learning experience for freshmen, was “fantastic,” and “I made some really amazing friends and learned how to handle myself,” recalls Brown, who later studied accounting at the University of Hawaii – Manoa and earned a master’s in that field from The College of Saint Rose. Brown describes the Death Wish customer as “the guy who’s a little rough around the edges, a hard worker, a family man. We target our marketing to that person and to others who identify with him. They’re enthusiastic about Death Wish Coffee. They tell their friends and family about it; then those people tell their friends and families. My mom, who’s in her 70s, drinks the coffee – and she tells me how great it is,” Brown adds with a smile. 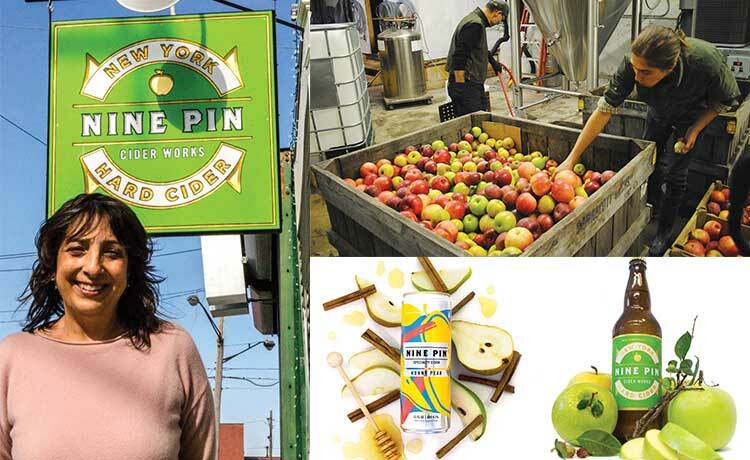 Case in point: When new packaging inadvertently omitted the “100-percent organic” certification, customers contacted Brown to ask if the brand was no longer organic. “They’re very passionate people who are concerned about the environment,” says Brown.